Top row (left to right): 1. Richard Ludwig, 2. Christine Jones, 3. Debbie Alviso, 4. Jeff Norris, 5. Annette ?, 6. Jimmy Hansen, 7. Kathy Stuart, 8. Brenda Tatjees, 9. Paul Reese. Second row: 1. LeAnn Beggs, 2. Mark Weingardner, 3. Karinne Wood, 4. Warren West, 5. Cindy Robinson, 6. Mary Thompson, 7. Donna Kraft, 8. Carl ?, 9. Jerie Sandholtz. Third row: 1. Julie Brierly, 2. Tim Brooke, 3. Sharon Smith, 4. Linda Elkin, 5. no picture, 6. Debbie Sharon, 7. Jeff Makaiwi, 8. Laura Cassell, 9. Paul Olson. Fourth row: 1. Mr. Richard M. Callaghan, 2. Suzanne Bohrer, 3. no picture, 4. no picture, 5. no picture, 6. no picture, 7. no picture, 8. Kenneth Peterson, 9. Mr Donald Larsen (Principal). Credits: From the collection of Laura Cassell. Laura's picture has suffered some water damage on the left (which I have blurred to minimize the distraction). If you have copy of this picture that is in better condition, please submit it to the archive. Thanks to Laura Cassell, Jeff Makaiwi, and Jerie Sandholtz Jacobs for identifying the kids in the picture. If you can identify any of the unidentified or misidentified people in the picture, or if you would like to share a memory related to the picture, please post a message in the forum discussion of this picture or write to the webmaster. About the forum: The Livermore Class Picture Archive forum is on the Delphi Forums website. Access to the forum is free, but if you want to post messages to the forum you have to register with Delphi. Delphi has a three-tiered membership structure: DelphiPlus, Advanced, and Basic. The Basic membership is free and is all you need to read and post messages on the forum. If you do not want to register with Delphi, you can still read what others have posted in the forum by logging in as "guest". The kids in the picture are members of the high school graduation class of 1981. To find other pictures of the class of 1981 in the archive, see Livermore class pictures listed by year of high school graduation: 1981. And if you have any pictures of the class of 1981 that you would like to share, please submit them to the Archive. 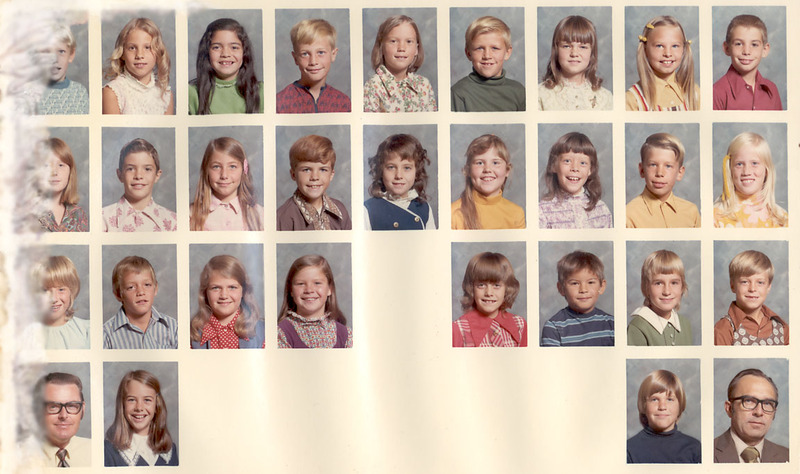 To find other pictures from Jackson Avenue School in the archive, see Livermore class pictures listed by school: Jackson Avenue School. And if you have any pictures from Jackson Avenue School that you would like to share, please submit them to the Archive.